Although I've never really been one to complain about Mondays as I've always seen them as just another day, I do still like to do something to start the week on a good note, and I started this week with an old faithful: coffee. 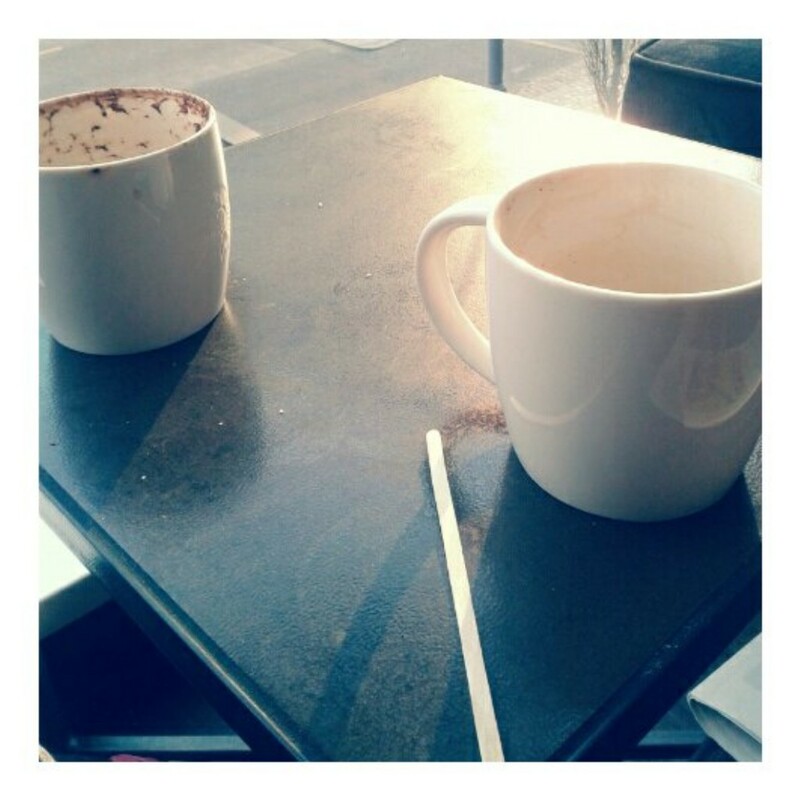 It was a beautiful afternoon and by the time I got out of college the sun was at that point in the sky where is casts a warm orangey glow over everything, so I made the most of the free time I had that evening and went and sat in my favourite spot in Starbucks (in the comfy chairs by the window - the perfect place for people-watching) with a creamy vanilla soy latte with a dusting of nutmeg. I also picked up some hairdye before I headed home as I was starting to get bored of my current colour and wanted something a little softer and more 'beachy'. I went for the shade 'Sandy Blonde' from Garnier's 'Olia' range (the name was enough to sell me) and applied it from my roots to about the mid-lengths of my hair which was already a very light blonde. Now my hair is a soft sandy-blonde colour in the top half which then fades into a light blonde at the ends. Unfortunately I don't have any pictures to show from it (because it wouldn't have really been appropriate), but something rather exciting happened on Wednesday - I attended my first ever yoga class! I first got into yoga almost three years ago and I'd had an on-off relationship with it since then, but over the last year or two I've gradually gotten more into it and started to practice more frequently, and now I do vinyasa yoga three to four times a week and I value it so much. The more I've committed to it and the more I've practiced, the stronger I've gotten, the more poses I've learned and the more it's meant to me. I now realise how much of an impact yoga can have: it's great for building strength and long, lean muscle, it can challenge and improve your cardiovascular capacity, it relieves stress, it improves flexibility, it centers and grounds you, it can boost your energy levels and it puts you in touch with your mind, body and breath. Although I have always practiced by myself and never really considered going to classes, when I saw that there would be an eight week yoga course running at my college at just £1 a session (or £6 for all 8!) I didn't hesitate to sign up, which is quite unlike me but I felt the need to push myself to try something new and 'get out there', and if nothing else it would be a privilege to be in the presence of someone with far greater knowledge of yoga than me. There were only 12 places in the class so it was nice and intimate and I really enjoyed it - the instructor was super lovely and I feel so inspired to keep practicing yoga to build strength and master new poses - I'm definitely signing up for all eight sessions! On Wednesday night I also entered an Instagram giveaway. I entered one of Vine and Melrose's giveaways last month and although it's not something I do often, I couldn't resist this one either. I've been lusting after this style of yoga pants for quite some time now because they just look so comfortable and they could be worn anywhere; for yoga, for lounging around the house, or even during the day in the summer. I also fell in love with this 'be here now' bracelet because it is so simple and I really like the typewriter-style lettering and the handmade feel of it, but I also really like the message of it, and wearing it would be a constant reminder to live in the moment and to always be fully present. I've got everything crossed for this giveaway, but if I don't win it I may well have to put the bracelet on my birthday list this year. In the mean time, good luck to everyone who's entered, and if you like the look of these items it's not too late to enter! 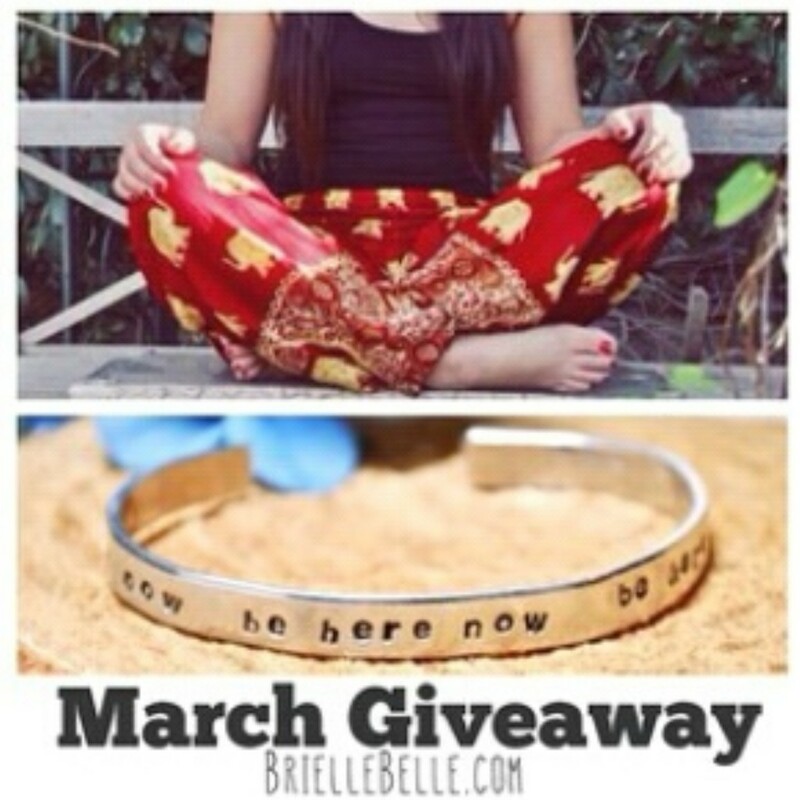 Just visit BrielleBelle's Instagram page here and follow the instructions under the photo. Good luck! I didn't post much towards the end of the week but I did post this latergram from Saturday evening on Sunday morning. 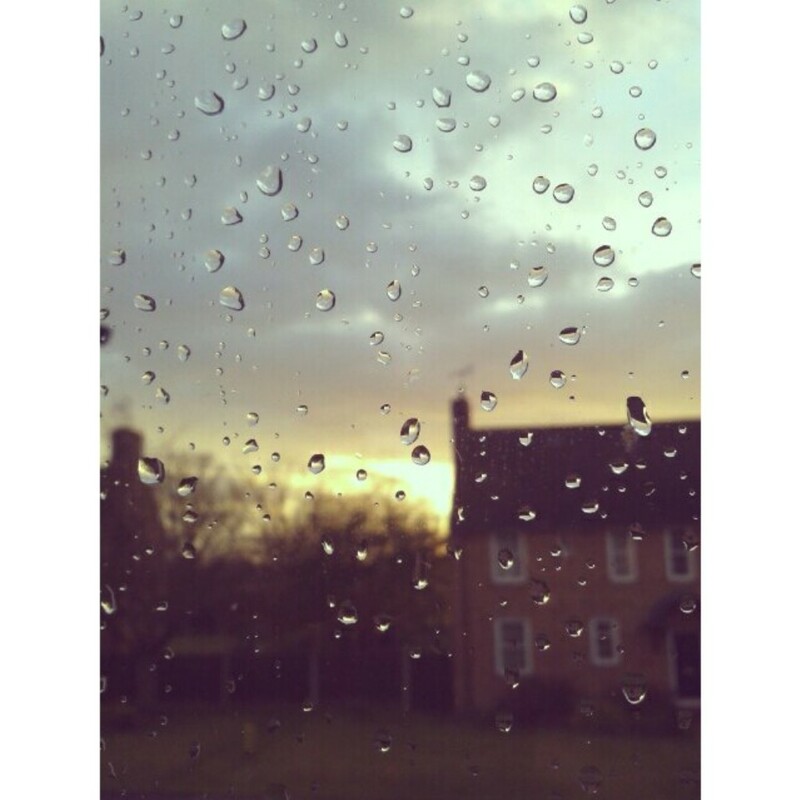 The boy and I were having another lazy evening and the way the evening light looked against the rain-spattered window caught my eye, and I thought it would be a shame not to capture it. It's starting to stay much lighter for much longer now as Spring is well and truly on its way, and there have been some gorgeous sunsets lately. Although it looks cloudy here it turned out to be a wonderfully clear night, and you could see so many stars right across the sky, something that really makes me stop for a moment to take in the beauty of the world we live in. 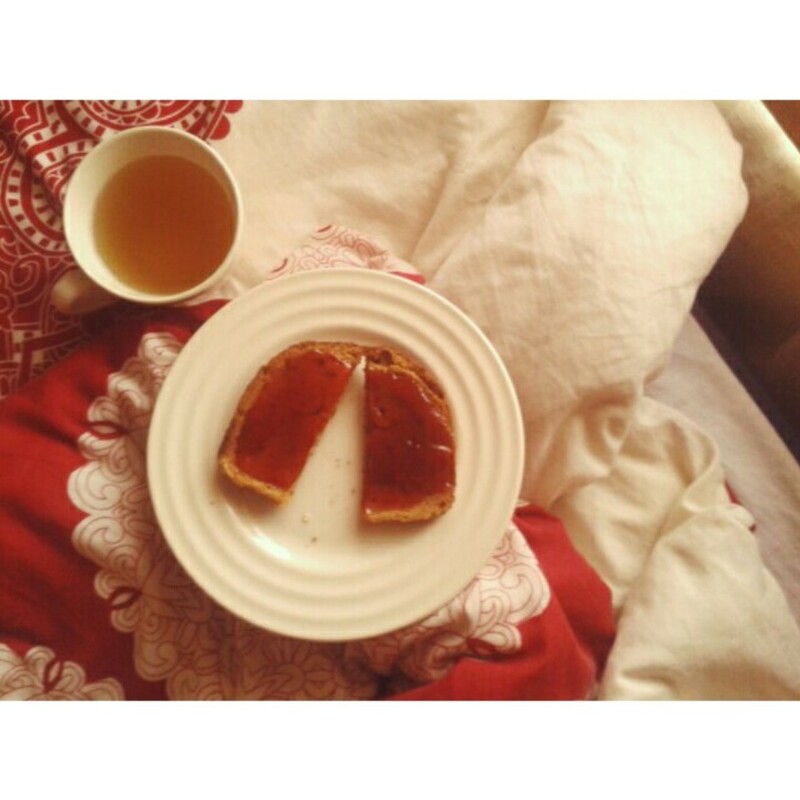 I then rounded the week off in the best possible way: with a lazy morning in bed with tea and toast, watching Sunday Brunch and listening to the rain outside. I've got some college work to do today but I'm going to take it fairly easy and make time for a bit of yoga and possibly a hair trim. I hope you've all had a great week!